Customer analysis is important to ensure that your company is meeting the demands of your customers. Once this is achieved, you can expect your profits to boost. 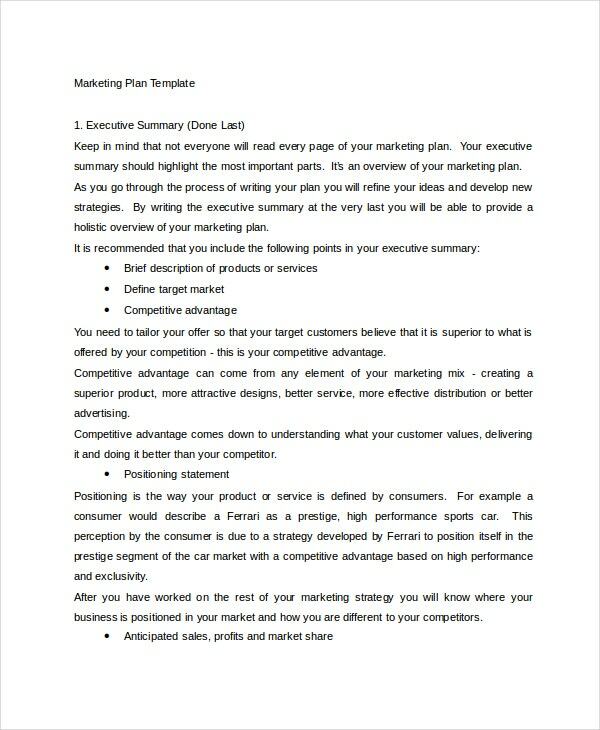 These templates can be broadly categorized into business case templates, competitor analysis templates, and the importance of customer feedback of your products.Here, we have provided a list of some customer analysis templates, up for download, that would help better your profit margins and in turn help your product rise to its true potential.You may also see Analysis Templates. The template is made up of 7 crucial tasks to better the understanding of customer interest and competitor work patterns. They include, first reviewing the competitor profile, calculating the advantages your company holds in terms of its qualitative and quantitative analysis, appealing to the target audiences with your product and analyze market shares. 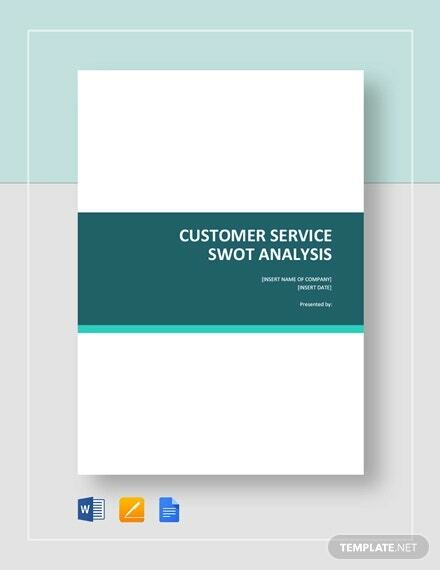 What it does is checking whether the product/service file is to the customer’s need and then complete a SWOT analysis for your company. 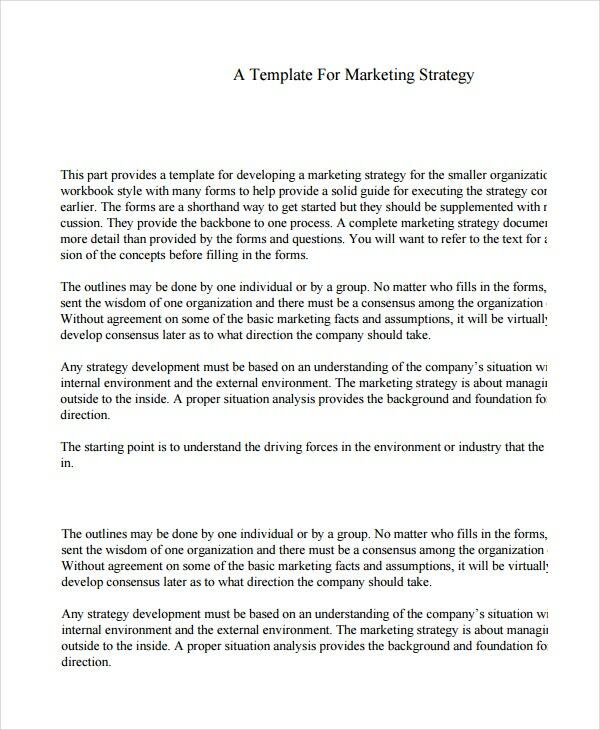 The template can be used to express business related services to better design customer analysis. The template includes built-in spaces for one to overwrite the actual information, making it easy to fill in data and tags, include unclassified,(for official use only) and classified. 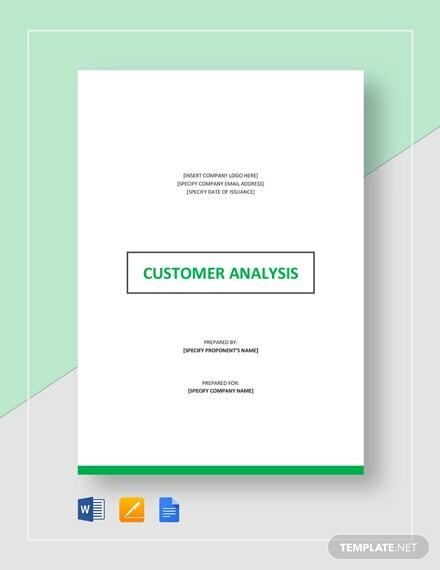 The template includes customer profitability tips, where one can analyze the needs of the customer for better success at one’s business. 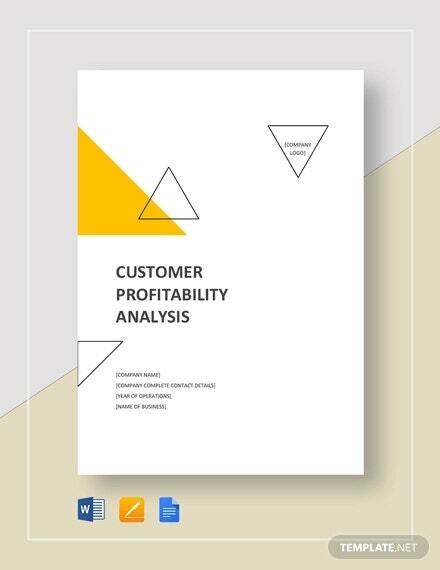 Contents include better customer profitability analysis and its advantages for the business and improving it. The template includes graphical representations for improving analysis methods. 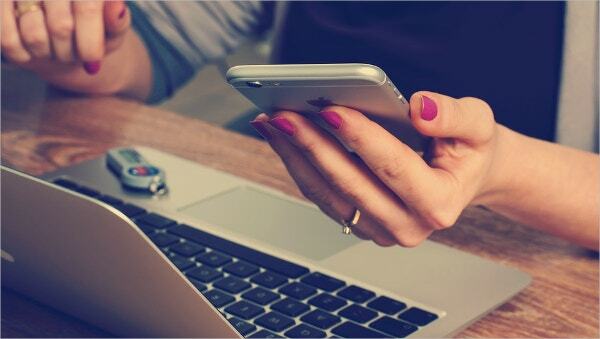 The template illustrates the need and usefulness of customer feedback surveys and how they can be better implemented for better profit at business. 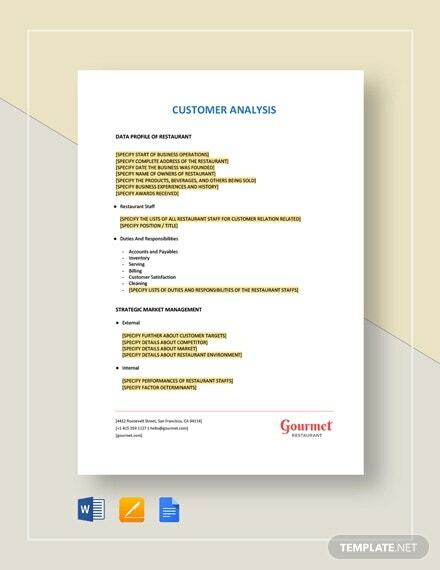 The template focuses on the significance of analyzing customer feedback in healthcare departments. The importance of analyzing customer feedback is to improve the quality of work and ensure complete customer satisfaction. 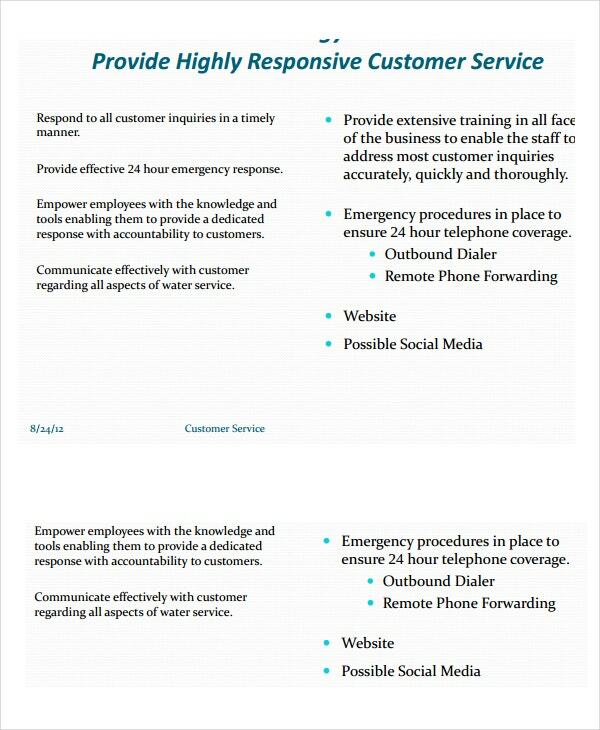 This template includes customer service strategies and how to implement them. It illustrates the methods in tabular formats. Also, the template discusses staff requirements, department responsibilities, contract operations supports and statistics. The strategies included can be used to increase the profits of your business. 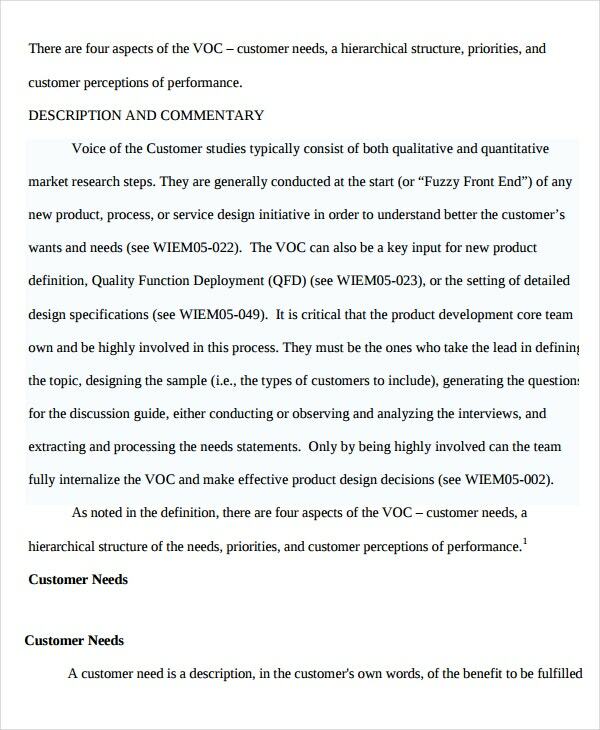 > How to Write a Customer Analysis for a Business? While writing a customer analysis, one must take the target audience of their company and the needs of the customer into consideration. It is important to identify the customer and realize basic customer satisfaction strategies. Define the primitive need of your customers and take these questions into consideration while analyzing them. Is the number of potential customers growing or decreasing? What is the business revenue of the customer? What lifestyle, goals or other information do you know about the customer? Is price important to these potential customers? 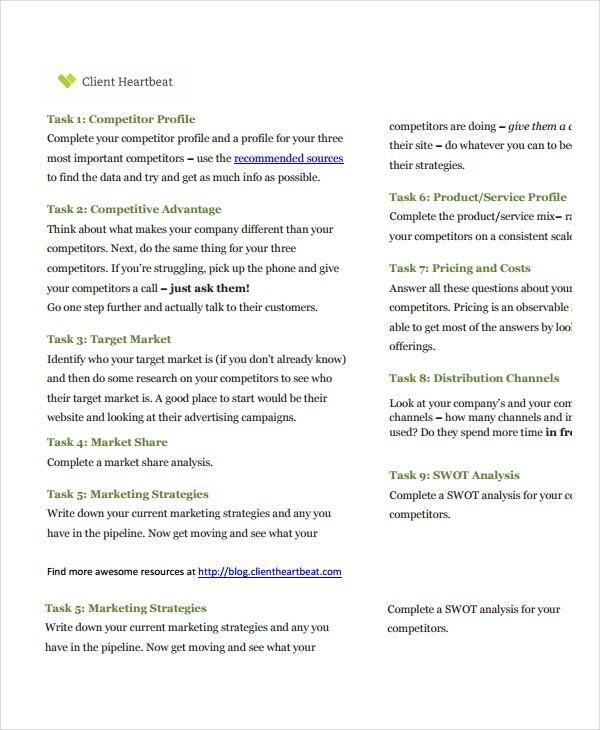 How to analyse your customer? While analyzing the type of your customers, you must take their demographic profiles and their buying behavior into account. This is advantageous, as you could better know the backgrounds of your customers. You can recognize the factors by making them buy your products and thus increase your profits. You can also see SWOT Analysis Templates. Also, keep in mind that the products they buy from your competition and what advantages their product holds against yours. What is the feature most wanted by your customer and their basic demands from your product? The most important part of analyzing your customer is considering whether the customers would return or not and whether their number is increasing. 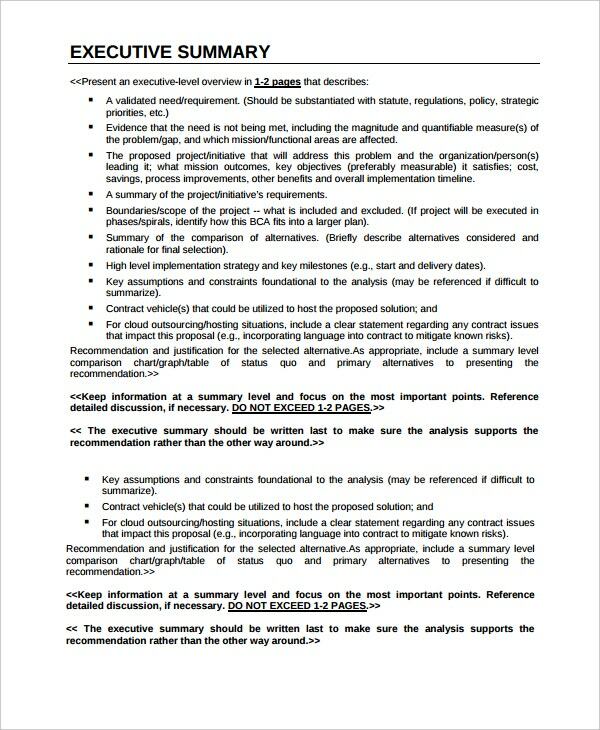 > What is a Competitive Analysis? Competitive Analysis is the assessment of marketing strategies and management of your potential competitors. The defensive strategies can be better conjured up for when you draw out a detailed competitive strategy. Determine how your competition paves their way into profiting their business and come up with plans that provide entire customer satisfaction. Put your customers before your profits and the profits will immediately yield. 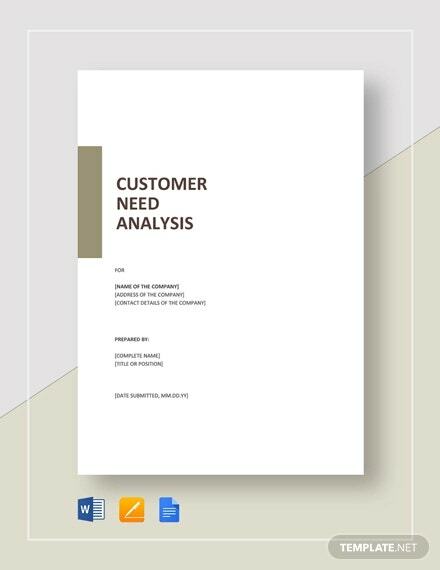 Customer analysis templates would help your company ensure better recognition of customer needs and demands that would, in turn, benefit your profits. Customer analysis includes taking your competition into consideration and increase the potential of your products.